Parents are Teachers, Too - People Places, Inc.
Today, November 8th, is National Parents as Teachers Day. The concept for Parents as Teachers developed in the 1970s when educators noted that children were beginning kindergarten with varying levels of school readiness. 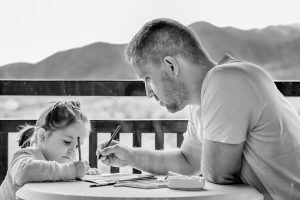 Decades of research shows that parental involvement is a critical link in a child’s development of learning competencies (like reading and writing) and social skills (like communication, friendship, respect, and helpfulness). At People Places, we recognize our Foster Parents as Teachers EVERY DAY! We celebrate the incredible work they do day-in and day-out teaching children in their home new ways to see themselves, their world and their relationships with caregivers. In our Parenting Skills Pre-Service Training, prospective foster parents learn why we call our foster parents Teaching Parents. Many of the children in foster care have learned behaviors that can be challenging. But those behaviors were likely learned for a reason. We all do things that work for us, especially when it comes to coping with stressful situations, defending ourselves or surviving abuse or traumatic experiences. Our Teaching Parents understand that behaviors are learned – and that new ones can be taught. Our Teaching Parents also understand that traumatized children can’t heal by themselves and they recognize the power of relationship in helping children recover from early trauma. What makes an effective teacher? The same things that make an effective foster parent. Patience and persistence are important. Starting with where a child is at, not where they “ought to be.” Teaching Parents inspire, motivate and help children believe in their own abilities and deal with frustration without giving up. What could YOU teach a child? Shapes and colors? 1 + 1 = 2? Abraham Lincoln and the Gettysburg Address? Photosynthesis? How to apply for a job? Open a bank account? Plan a balanced diet? Prevent pregnancy? How to be a good friend? How to ask for help? If you are interested in learning more about how you can become a People Places Teaching Parent, please click here or call your local office to find out more.